The report deals with the planned, new Energy Efficiency Obligation Schemes (EEOs) within the European Union Member States (MS), as requested for the implementation of the Article 7 of the Energy Efficiency Directive. 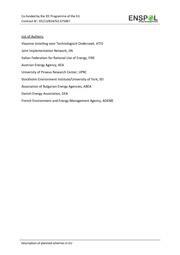 The MS explored in this report, that have declared their plans to adopt an EEO scheme (often linked to alternative measures) are Austria, Bulgaria, Estonia, Hungary, Lithuania, Luxembourg, Malta, Ireland, Spain and Slovenia. 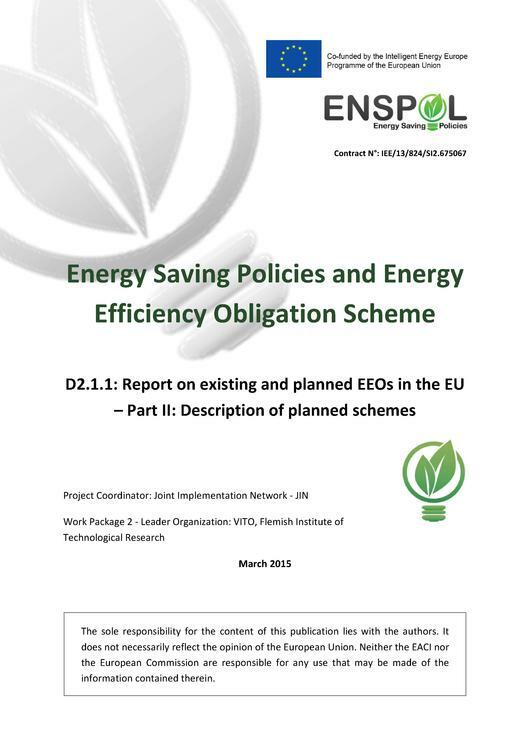 This report is the sequence of the detailed analysis of the already, existing schemes in the United Kingdom, Belgium, France, Denmark, Italy and Poland (Part I of ENSPOL deliverable D2.1.1).